ROAD TOWN, Tortola, VI: The Auditor General of the Virgin Islands (VI), Ms Sonia M. Webster made some serious conclusions in her investigation of a small school wall costing taxpayers $1.6 M.
The report noted that “Variations to the design was adopted after commencement of the project.” One such variation was the rear entrance facing FedEx along the West Exit/Gate Lower Estate Superette perimeter to accommodate a drop-off area for school buses. That work was done by one contractor via a petty contact for some $53,883.50,” according to the report. In the same area, the report on the Mr Walwyn school wall stated, “Only ten of the 16 rail/paint jobs were competed”. 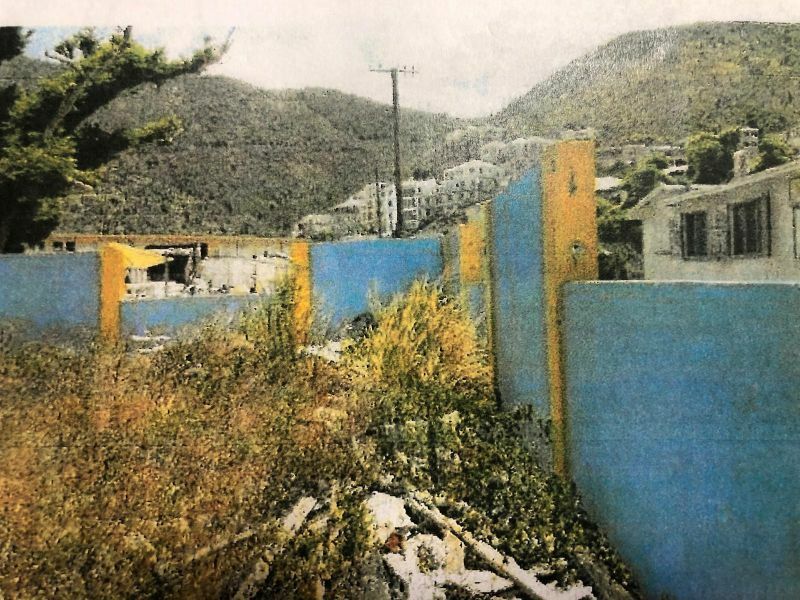 The Treasury records indicate that the contractors were all “paid in full.” Despite the price tag of $1.6 M, the Auditor General in her special report noted that, “No contracts were issued for rail/paint work on 14 wall segments. This area is therefore incomplete with approximately 20 wall sections that are unpainted and without rails”. 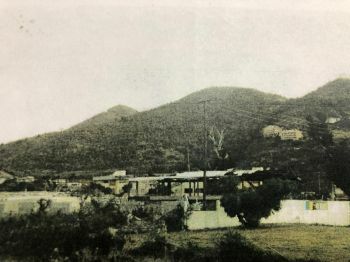 In arguing that the price tag of $1.6 M was rather overpriced, Ms Webster noted, “The seven wall section that adjoins the corner by Evans House are unpainted and do not have rails installed… There is a gap in the centre of the wall along the hut where an older wall structure collapsed after the floodings of 2017. It is unclear why this had not been demolished earlier, as the costing for the new perimeter wall included the full length of this side” the report questioned. In another bombshell conclusion, Ms Webster stated, “inconsistencies were also noted in the rendering of the wall, in some areas the block wall was visible through the unpainted plaster.” She noted that the wall did not withstand the flooding and Hurricanes of 2017. Since the bombshell report on the wall, Hon Walwyn has gone on a public relations campaign even telling lies about the true cost of the wall. His Co-Leader Dr the Hon D Orlando Smith (AL) who is the Minister of Finance told the House of Assembly (HoA) in 2016 that the cost of the wall was $1.6M. 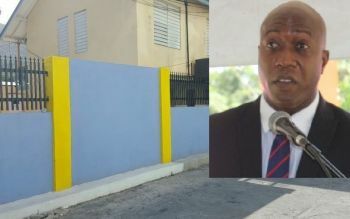 Later in 2016, Mr Walwyn admitted that was the cost of the wall $1.6M also to an answer to a question in the HoA. However, Mr Walwyn continues making attempts to change the price tag. It must be also noted that portions of the Wall, the side by the Sunday Morning Well was already erected and needed no new walls. What if you don't want any of them? its going to break alot of hearts when the hon. myron stands tall the day after election as the new premier of the island, the man is that good. All walwyn doing is telling lies sick of him. This is who y’all really want be premier? Pumpkin waiting for his backside. I am still waiting to hear when HE the Governor Augustus Gus Jaspert is going to discipline Myron for breaching protocol when he go ahead of everybody and made a confidential report public when it was not in his power to do. What is good for the goose is good for the gander. Greenhouse, pier park. Go investage #3 Sea Cows Bay district leader. You all fanning the flames on Myron and sweeping the others Corruption under the already dirty carpet. Tell me MS.AG, when are you going to put the others on blast. Myron goes down, the others is going down. Baba Z what he thinks on this matter. When all is good they act like they like us. We only know how much they hate us when we are accused of doing something wrong, they come together to dig deep pits for us.. The Bible says when you dig pits for your perceived enemies dig extra for you and your family because non is without sin and the wages of sin is death. I say perceived enemies because most the people we see as our enemies are not our enemies and most that we see as our friends are not our friends. So perceived I think is the appropriate word...Myron should resign as NDP chairman and take his case to the people as an independent candidate because he gets no support from NDP so why go out fighting for them..
That AG, is being COACHED by someone that wants to destroy Myron. Ok, she have to do her job but, she better make sure the ones in the Political Party she is in bed with is investigated before proof start showing up on buildings in Road Town. There is big proof on JF, AF and PC. For persons like me did people get paid on these jobs but did not really do the work; it just a question. I'm with you 100%. The sewer rats, the lowest form of rodents is enjoying the cheddar and swiss but, the cheese will run out soon and they will turn on each other. Bon Appetite sewer rats, Bon Appetite. You set a trap for another man to fall, someone is setting yours. Remove this man from power please!! Ruining the school system! I guess you are one of the haters who fail to understand Myron's restaurant is not the local soup kitchen where you can drop in and expect a free meal. Honerable thing is for the miister to step down rather than destroy the whole NDP for upcoming elections. Man does go jail for less than what Myron done here with our tax dollars. Governor please get up and do your work and instruct that a major criminal investigation be done in this matter. Dear Governor, please don't allow the people that is trying to destroy Myron force you to destroy a man based on the fact that they are pushing a personal agenda. The people of the BVI have hatred and malace towards anyone who is not from the BVI or if your parents were not born in the BVI. At least we get a wall for one million.but we received absolutely nothing for BVI groundways at 7.2 million.this should have been the first investigation warranted. Keep digging, you said that you’re his fan and wish he would run as an Independent. You’re not not a good fan though. This man has already secured 70 votes which have been multiplied through these make-shifts contractors family and friends. Are you really asking him to give up these precious votes?? You cannot be his friend—for sure.